A charitable group or foundation may qualify as tax exempt under Section 501(c)(3) of the federal tax code. The IRS will accept an application for this status with several important conditions. As long as the group maintains its 501(c)(3) status, its income, which in most cases comes in the form of donations, isn't subject to taxation. Charitable groups apply for federal 501(c)(3) status by filing Form 1023 or 1023-EZ with the Internal Revenue Service. By definition, a 501(c)(3) is a public group organized on behalf of, and drawing at least one-third of its support from, the general public -- via companies, charities, individuals and public foundations. A church would fall into this category, as would an educational foundation or a food bank. 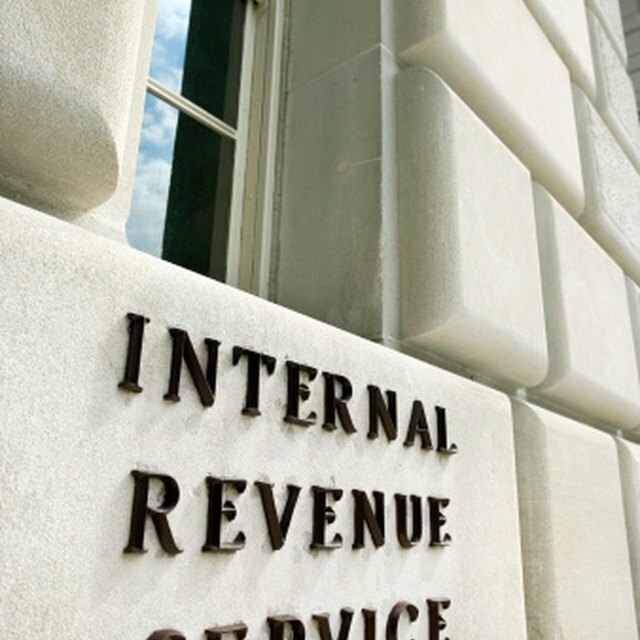 The IRS enforces a strict rule that the earnings of a 501(c)(3) may not benefit a single member, officer or director of the group. Each year, 501(c)(3)s file a financial statement with the IRS on Form 990. A 501(c)(3) group may involve itself in politics and lobbying, but only as a limited portion of its overall activities and purpose. Furthermore, a 501(c)(3) may not participate in, or directly support or oppose, the political candidacy of any individual. It also can't try to influence legislation. For that reason, 501(c)(3)s carrying out political advocacy often do so in the form of educational programs, such as television documentaries, movies, and websites organized around themes like voting rights, constitutional issues and community affairs. The IRS looks closely at the purpose of an organization to make its decision on 501(c)(3) status. Exempt purposes include those with educational, literary, scientific, or religious interests, the prevention of cruelty to children or animals, public safety or the building of public structures, or to foster amateur sports. The rules also mention lessening government, juvenile delinquency, fighting prejudice, and advocacy of civil or human rights. A donation to a 501(c)(3) group can be deducted from income for federal tax purposes, a rule that benefits individuals as well as corporations. To take the deduction, an individual must itemize deductions. Many states also allow the deduction of contributions for state income tax purposes, as long as the group qualifies as a 501(c)(3) under the federal rules. In some jurisdictions a 501(c)(3) may be exempt from sales tax on its purchases, as well as real estate taxes on its property.